REACH with a Child this Summer! REACH stands for Reading, Educators, and Children, a partnership between the Beacon Teachers Association and the Howland Public Library. Every Saturday through December, from 10:15 - 11AM, volunteer educators from Beacon City schools will read to children at the library at 313 Main Street. The REACH motto is: Every Child, Every Chance, Every Day! Children of all ages, whether enrolled in the BCSD or not, are welcome! call the Howland Public Library, 831-1134. New York State author Carol Parenzan Smalley will take students on an interactive mapping journey with explorer Henry Hudson using her book, What's so Great about Henry Hudson? Workshop includes a hands-on 3-D mapping project. 4-Star Reviews from our '08 Adult Summer Readers! Be Creative @ the Library! books, music, dance, art, and more! Children from pre-K through grade 6 should stop at the children's desk of the library to fill out a reading record and take home a reading-log sheet. Children will keep track of the books they read (or are read to them) and enter the titles in their reading logs at the library. They can receive cool prizes, participate in special programs, enter fun contests, and have their names sent to their schools in September for recognition. Friday mornings 10:30 -11:30 a.m. from July 10th through August 14th for children ages 3-6 with caregivers. This program will feature stories, arts and crafts, and special activities. No registration required. Sorry! This program is full. Four Saturday mornings, July 18 & 25, and Aug. 1 & 8 from 10:30-11:30 a.m., for children ages 3-6 with caregivers. Local educator and artist, Marlene Pennison will teach children to communicate feelings and ideas through dance and movement using stories and games. Registration required. Singer/musician Jay Mankita presents "Books in Space"
Wildlife Education with Bernie, featuring live animals! Flute Sweets & Tickletunes, a music/story theater group, presents, "I Hopped Out of Bed and Jumped for Joy!" Sorry! This program is full! Between July 14th and Aug. 12th children entering grades 3-6 will meet to share in the joys of reading and discussing books. They will also work on a creative project based on the books they've read. This program is especially good for students who need some help with reading out loud and reading comprehension. Creative writing for students grades 4 and up conducted by author/teacher Susan Ruckdeschel on Mondays and Wednesdays from 10:30 AM - 12:30 PM on August 10 & 12, 17 & 19, 24 & 26. Registration required. These FREE summer programs are made possible from a variety of sources: Federal Library and Technology Act Funds, Dutchess County SRP funds, and the Friends of the Howland Public Library. Battle of the Books is a nationally recognized literature contest. Students entering grades 6-9 in the fall can still join the 5th annual Battle of the Books at the Howland Public Library. BoB will take place Thursdays from 5-7 p.m. Students will work with BoB coaches, enjoy a pizza, and participate in fun book-related activities. In September, an All-Star Team will be formed to compete against twenty other library teams for the Regional Championship. There is still time to sign up for this fun competition. Parents or older teens interested in coaching are also needed. As part of the Health Information Project for teens, HPL has hired 12 students to participate in the Class Action Program. Class Action is a High School Alcohol Use Prevention Curriculum program that looks at the real social and legal consequences of underage alcohol use. Based on the social influences theory of behavior change, the goal of Class Action is to change the social norms around alcohol use and to change negative peer pressure into positive peer pressure. present hypothetical civil cases in which someone has been harmed as a result of underage drinking. The team will also participate in peer presentations in Beacon schools in the fall. Participation in this educational and thought provoking project will be an asset to a college application, too. Teens ages 12 - 18 can get creative with video on Friday, August 7th, from 3-5pm. They will learn how to create videos using the Flip Mino camcorder, edit and enhance videos with Windows Movie Maker, and upload videos to YouTube. No video experience necessary. This program is free, but is limited to 10 participants. Registration is necessary. 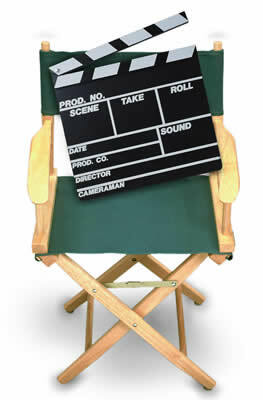 The workshop grant allows for a stipend to pay a teen who is experienced with the Flip and/or Movie Maker. Teens between the ages of 14-18 interested in a paid position to help teach this workshop are needed. This Flip workshop is made possible by a NYS Library Grant provided to the Mid-Hudson Library System. To sign up for a program or for information about teen programs, contact Ginny Figlia, Youth Services Librarian, at 831-1134, ex. 103 or EMAIL GINNY. Master the Art of Reading! win a gift certificate to one of our wonderful local restaurants. Just fill out a short book review form for each book read. (Some reviews from last summer are at left.) The more books you read, the better your chance to win! Drawings will be held weekly for the next 6 weeks! HPL's Helen Savoit Daytime Book Club will discuss Crossing the Mangrove by Maryse Conde on Tuesday, July 14th from 1:30 - 3 p.m.
Our Evening Book Club will discuss The Memory Keeper's Daughter by Kim Edwards on Tuesday, July 21st from 6:30 - 7:30 p.m. Both book clubs meet in our Local History Room. Borrow the book from the library, read the book, and come prepared to engage in a lively book discussion.New members are always welcome! Get Ready for Brain Games! The Dutchess County Office of the Aging presents Brain Games each Thursday in July from 10 - 11:30 a.m. in the Local History Room. Seniors, challenge your minds this summer by completing fun puzzles, playing games, and other stimulating activities that will get your brains sizzling. This is a 5-week program. Digital Photography Creative Workshop, Wednesday, July 29th from 1 - 3 p.m.
Songwriting for Adults Creative Workshop, Sunday, August 2nd from 1 - 3:30 p.m.
Come to our HPL Adult Reading Program Summer's End Party on Sunday, August 30th from 1 - 3 p.m.! For more information about these programs, contact Adult Services Librarian Alison Herrero at 831-1134 x105 or EMAIL ALISON. The Howland Public Library has wonderful programs planned for people of all ages. We wish we had the space to accommodate everyone who would like to attend library programs this summer. Because we don't, we've scheduled a variety of "drop-in" programs that don't require registration.